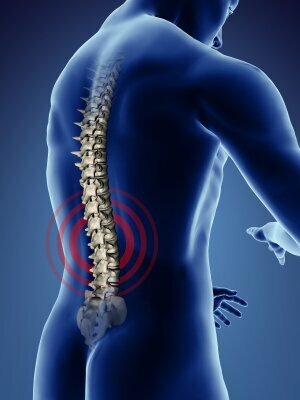 Can a Crooked Spine Cause Disease? The nerve irritation leads to increased sympathetic tone,vasomotor spasm and reduced blood flow. Windsor goes on to state: “The disease appears to precede old age and to cause it. The spine becomes stiff first and old age follows. Therefore, we may say a man is as old as his spine, the arteries becoming hardened later from constant vaso-motor spasm, following sympathetic irritation.” After reading this article, one realizes the importance of regular chiropractic care. Not just for pain, but for an optimally functioning spine and nervous system. Chiropractors lead the way in re-aligning misaligned spines. Dr. Parkes is the owner of Bordentown Chiropractic clinic and Bioveda Health and Wellness Center of Yardley. Winsor, H. Sympathetic segmental disturbances-II. The evidence of the association, in dissected cadavers, of visceral disease with vertebrae deformities of the same sympathetic segments. Medical Times, Nov. 1921, 49, pp. 267-271. As a massage therapist with 20 years experience I certainly concur that all organs have a relationship to the spine, as does the nervous system. What I would like to address is the issue of bones shifting and spinal misalignment’s. Bones can literally be pulled out of place via muscular tension, as well as injuries. Therefore addressing the soft tissue/muscular regions is crucial. While a person can do this to a degree through stretching, various activities, strength training and the like, having bodywork greatly assists in reducing the occurrence of injury rates, as well aiding recovery. Muscular tension can occur due to mental/emotional stress, daily activities, repetitive strain injuries, improper posture, even poor diet. High intake of caffiene beverages will often result in deep muscle tension, as will the lack of the right nutrition. Drinking enough water & taking Magnesium is an important consideration for the benefits they each provide our bodies & muscles, as is reducing stress. Just another take on all the factors involved in these bodies we expect to last us a lifetime! I usually don’t leave comments!!! Trust me! But I liked your Organ disease linked to spinal misalignment | BioVeda Wellness blog…especially this post! Would you mind terribly if I put up a backlink from my site to your site?